I have gotten a few email recently asking the reason for our infertility and what treatments we did before finally resorting to IVF. I decided to write a post about it today. 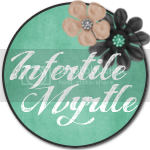 I added links to all of the highlighted words for some of my readers who are unfamiliar with infertility. On June 26, 2008 the day of my egg retrieval we finally got our long awaited infertility diagnoses. After retrieving my 19 eggs (17 mature) and fertilizing them with Mike's sperm via ICSI (11 fertilized correctly) , they realized that the zonas (shells) on my eggs are too thick. Not only could sperm not break though to fertilize them on its own, but the embryo could not break out of the shell to implant in my uterus either. They also found that while Mike's sperm seems perfect, he has low morphology according to the super strict Kruger scale. They assumed that this is what caused our miscarriages. They think that his abnormal sperm probably fertilized my egg, thus creating a abnormal embryo and impossible pregnancy. Currently we are planning to do another IVF cycle in November 2010. We are really hoping that the stars align again and IVF #2 turns out to be just as lucky as IVF #1. Your story really gives me hope. My husband and I have been trying to concieve for 3yrs now, and so far all the test are checking out okay. My doc wants to try IUI,and I am a little scared to jump to something so invasive. I'm going to have a second opiniion look at my case, just to see if maybe something else could be done before IUI. 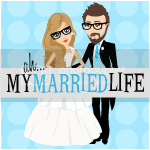 I am so glad I found your blog.It really gives me a heads up for a long journey that may await my husband and I.I appreciate the time you take out to just let others that their not alone in this process. The Unexpected Army Life- Erin told me about your blog. My nephew was an IVF baby... congrats on London and good luck going into the second round this fall!! Hello, I just stumble onto your blog. I was shocked while reading it. Your ivf story is so simular to mine. I am a former USMC wife, we did our ivf in outside of themilitary I refused to wait on the waiting list. LOL.) Our first RE appt wa Apri 28, 2008 as well. We did ivf in June as well.....however, ours was BFN. We later did fet in Nov and now have our miracle!! We are planning on going back for ivf #2 (3 if you count fet) this spring! Congrats to you and good luck with #2.